“MS. 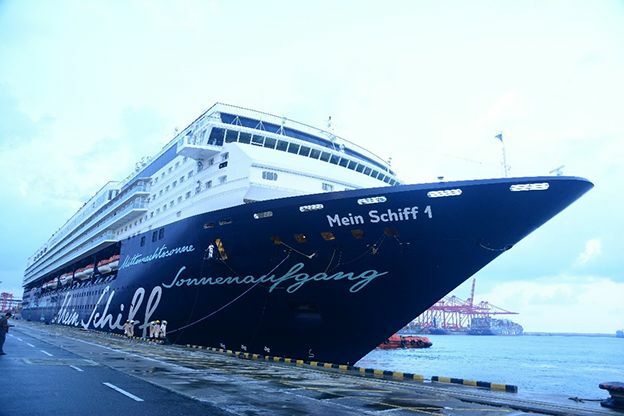 MEIN SCHIFF 01” made her graceful port of call atColombo Port from Mumbai, on 13th November 2017. “MS. MEIN SCHIFF 01” passenger ship belongs to TUI Cruises and started her journey from Europe via Suez canal in Egypt connecting the Mediterranean Sea to the Red Sea, and has sailed across several continents across the globe. The cruise targets mostly Germantourists, and her approximate travel duration on this trip was between 2 (1/2) to 3 months throughout its whole journey. This gigantic vessel carried 1850 passengers and approximately 900 crew members and 1410 passengers joined with the excursions to explore selected areas such as Kandy, had the opportunity to have a panoramic city tour, visit Pinnawala Elephant Orphanage, and a visit to a Tea Factory which were arranged by the Tour Excursion Agent Aitken Spence Travels and the Shipping Agent for this passenger ship, Shipping Agency Services (Pvt) Ltd.
Cruise tourism is one of the world’s fastest growing tourist sectors. Cruise tourists are particularly concerned about the zones in which cruise lines operate.These include the time of year, security situation of the country,climate conditions and tourist attractions, which are key factors in selecting a zone as of selecting a destination on land. Cruise Tourism sector in Sri Lanka is developing rapidly and tremendously due to the peaceful atmosphere and the tourism development process in the country. 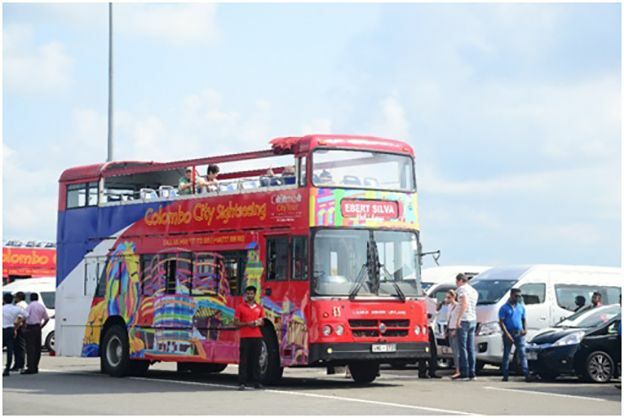 Currently, around 50 cruise calls take place per annum at the Colombo Port. Which indicates the potential to attract tourists via another form of travelling across destinations. These cruise lines also call over at other ports such as Galle, Hambantota and Trincomalee to discover the treasures in this beautiful island and the gifts of nature it has to offer. 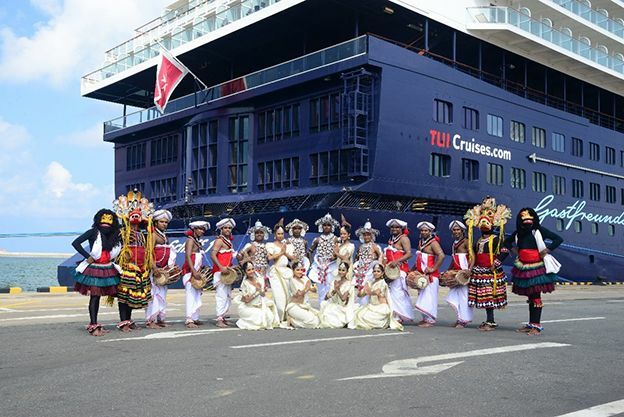 As a strategy to take forward this venture, Sri Lanka Tourism Promotion Bureau (SLTPB) has identified this segment as one of the emerging sectors in tourism development and SLTPB is jointly working with the Sri Lanka Ports Authority in collaboration with private sector stakeholders and those who are involved in the Cruise Tourism Industry in Sri Lanka. 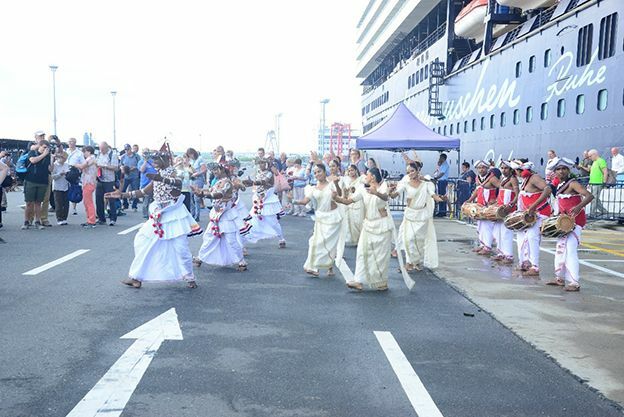 Focusing the importance of the above niche segment, Sri Lanka Tourism Promotion Bureau has taken initiative to organize Cultural Dance Performances for each Cruise Call, to welcome passengers to Colombo Port, and show our hospitality, and traditional dance performances as an addition to showcase the traditional and cultural value. 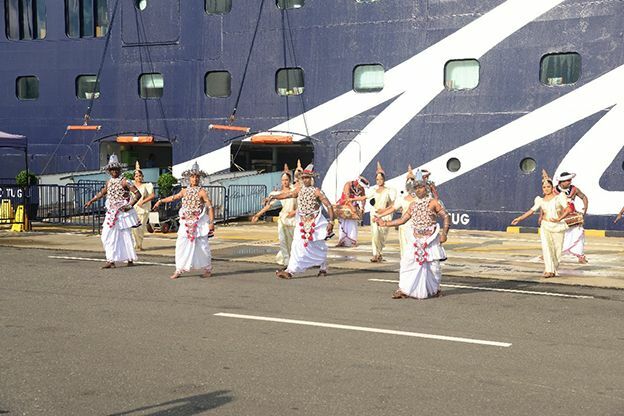 The cruise passengers were highly impressed on the cultural dance performances organized by SLTPB during the arrival of the above passenger cruise to Colombo Port, making them experience an unforgettable stop over moment. 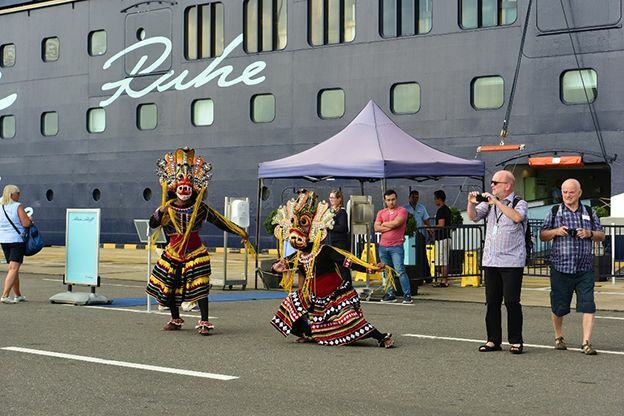 Enabling such cruise lines to make their visits on a regular basis is an efficient way of promoting destination Sri Lanka, blessed with 4 natural harbours and makes an excellent stop by for tourists to explore the wonder of this paradise island within a few days stay.